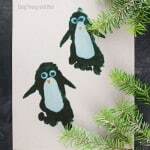 You just have to add this paper penguin craft to your arctic animals crafting session as it’s just so much fun and super easy. Grab a sheet of black paper and let the crafting begin. 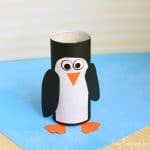 When it comes to winter crafts for kids, it’s all about penguins and snowmen, and an occasional polar bear. 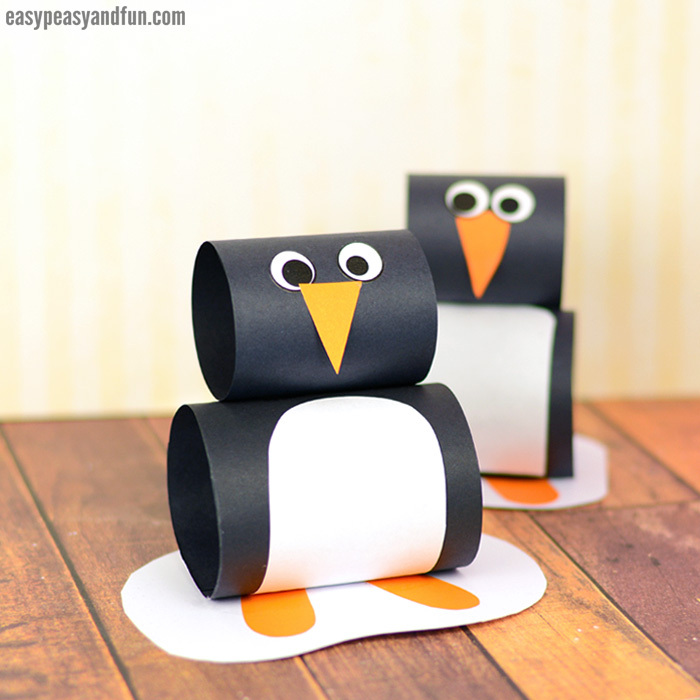 We do love penguin crafts, one of our favorites are certainly toilet paper roll penguins which are perfect for preschool and kindergarten or the cotton ball penguin that is manageable by toddlers too. The tutorial we are sharing today is suited for older kids – kindergarten and beyond and will most certainly entertain kids at heart too. 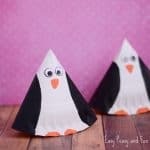 Ready to make your paper penguins? 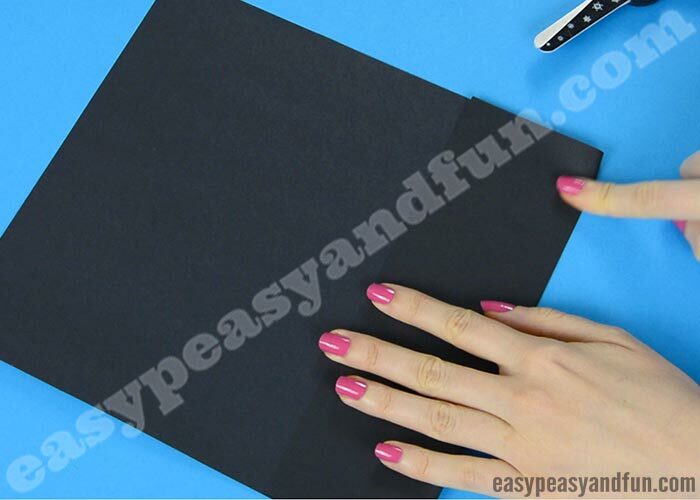 You will need two strips of black paper, one a bit wider than the other, both can be the same length. You can fold the paper to mark the “cutting” line. 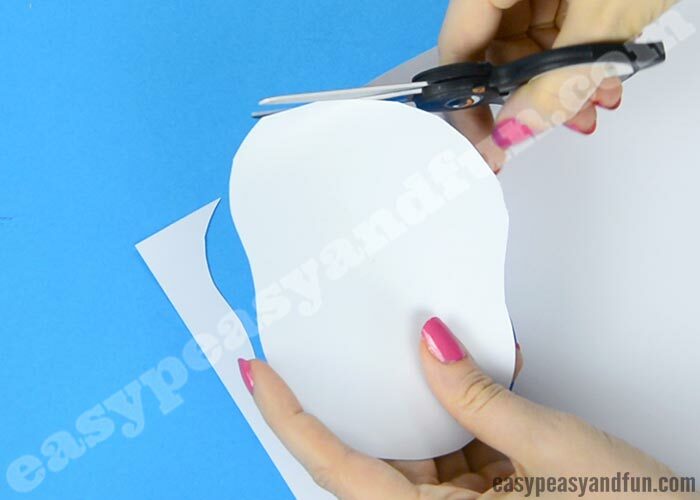 Apply glue on one end of the paper strips. Repeat with the other paper strip. Allow the glue some time to set. We usually use clothespins to hold the paper in place while the glue dries. 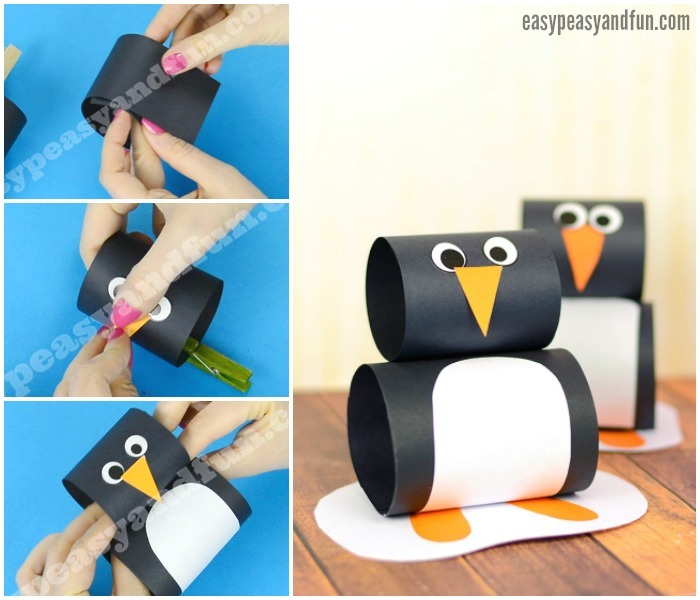 Take the smaller roll (the paper penguin head) and stick on two eyes. 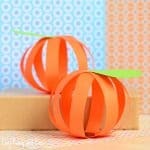 Cut the triangle beak shape out of orange paper and glue it on the head. Cut a U shape out of white paper (it has to be a bit thinner than the body width). 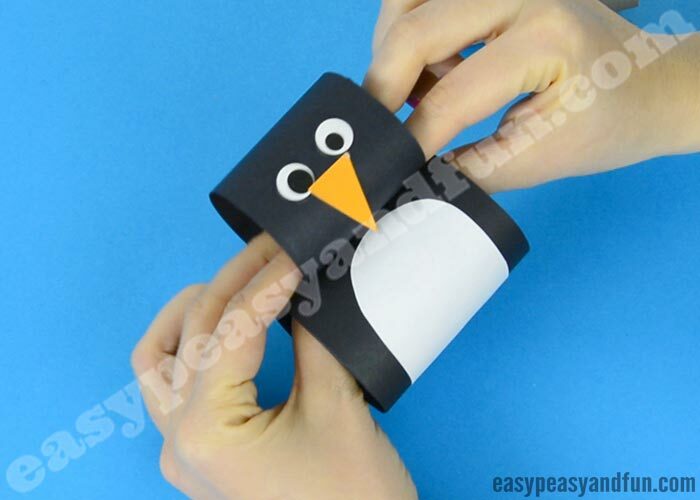 Glue it onto the body of the paper penguin. Cut a base (icy one) out of white construction paper. 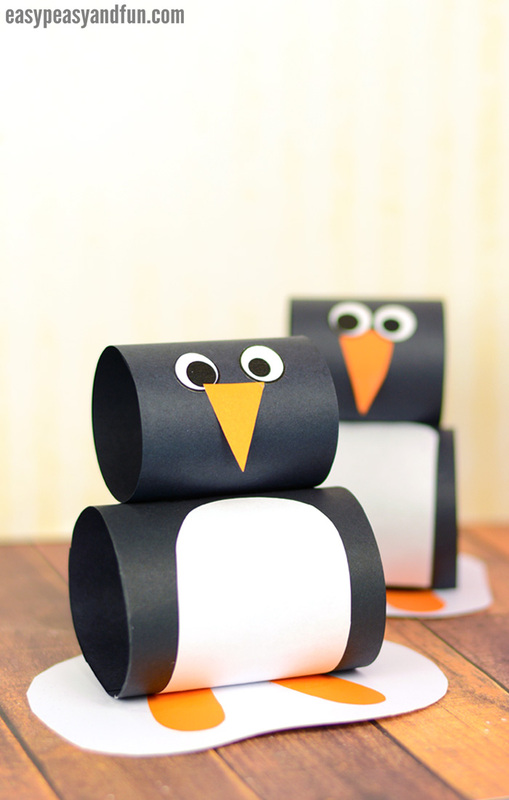 Cut penguin feet out of orange paper and glue them on the base. Lastly glue the penguin on the base. 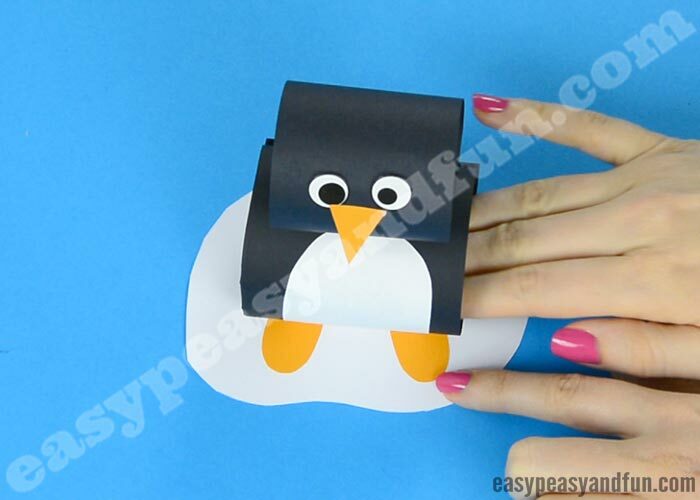 You’ve made a wonderful paper penguin craft.